To add insult to injury, Louisa’s husband has just had us served with divorce papers. This will set him free and allow him to remove her health care leaving her with nothing more than medicaide and second rate care for the rest of her life! The abuse never fails to amaze me! The 60 year old retired laborer is entitled to full medical, eye and dental coverage at no cost for himself and his wife for life unless and until they divorce! This will leave Louisa without the benefits she needs to sustain her health and well being. Dumping her on the state medicaid roles is unfair to her and the NJ taxpayers and it renders her unable to get full and proper care! As Louisa’s new Guardian, I am hoping to find a divorce attorney who will take her case here in Bergen County NJ and fight to have her husband keep her insured. Louisa cannot possibly get her own insurance under these conditions and she is entitled to keep her private health care rather than having to resort to State benefits because he choses to abandon her and take her care away! Doesn’t he lose all control over her then? Is it possible there is a trade off here? On the surface it sure looks like a hideous thing to do, but I am curious if not having him have any sway could be beneficial. As long as they were married for at least 10 years she is probably entitled to social security benefits. Either way, it still looks bad. Oh I forgot about Social Seciruty benefits – he is cutting her off 1 year early for that too! And as far as legal Guardianship I just won that from the courts – that is why he is doing this- if he can’t have control then he is going to cut off all her benefits. 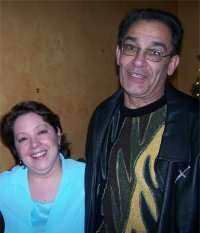 These are the reasons I fought for the fuardianship- he was not giving her the benefit of the mediacla coverage onstead he threw her in a state hospital and denied her the care she deserved. That is how I won the guardianship away from him- Now that I have it and am getting her the Doctors and treatmennts she needs he is trying to pull the benefits away so u can’t use them for her just like he denied her of them whenh he had control ! I guess I need to try to stall this for a full year to get her the SS benefits huh? You do need to stall. Check out SS website. They have to be married for 10 years or longer for Louisa to be eligible for a portion of his benefits. You should check into what the ramifications are of divorcing a disabled spouse and you can fight that on two fronts: one to make him keep her on his benefits and two, that fight will stall the divorce. I just think of Terry Schiavo Schindler, Betty, and how her “husband” was allowed to destroy her life, first by violence, then by withdrawal of medical support. I took Louisa to a Specialist last night – he says we can do surgery for her neck so she can sit straight and have a better quality of life. He also sent her to a new neuologist because Louisa’s curent Dr. have not changed her medications one itota since she came out of her coma. Nothinthing has changed- she gets no PT. OT. or ST. I just got Guardianship and the right to take her anywhere I want and the right to use her private Insurance for her needs. The private Dr.s I take her to are stupified when they meet her and cannot believe what I and she have accomplished compared to what her Dr.s reports claim. Louisa- totally presents the antithisus of anything her diagnosis and prognosis claims about her. We are now heading to a neurlogist in hopes of a new plan- if Louisa can achieve all this with no help or proper meds at all – I imagine her fight for life can be excelerated with care appropriate to her needs. I was able to take Louisa to a orthopedic surgeon last week- She goes to the neurologist tomorrow the Cat scans are done. All are willing to do surgery that up to now she has been denied. She is a perfect candidate I am told – but now her husband is filed for divorce in order to deny her the medical coverage she needs for these special surgeries that will enhance her quality of life. 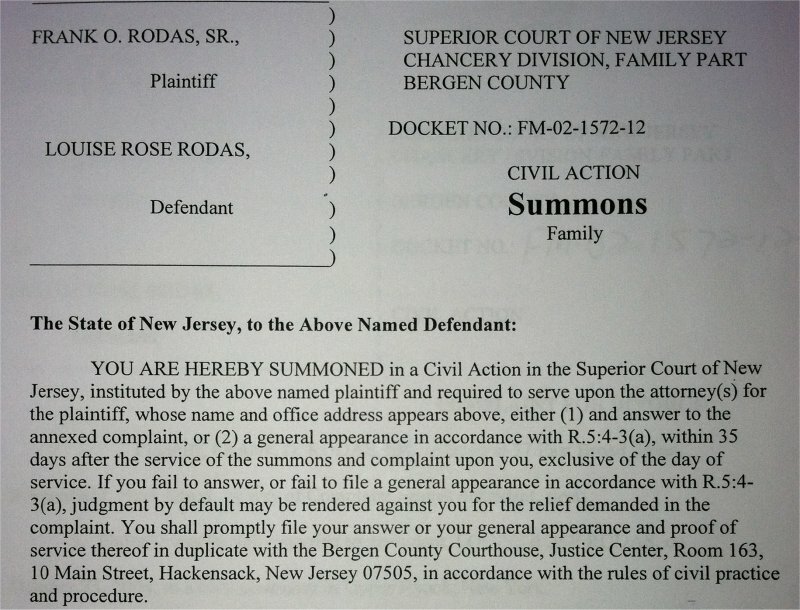 If you know any NJ lawyer that can assist Louisa Pro Bono in answering the divorce complaint in order to postpone an immediate default decree – PLEASE advise ASAP. This is a desperate need! Louisa has been denied medical care for 3.6 years and now that I have guardianship and am taking her to doctors who will help her – the beast is attempting to rip her medical coverage out from under her. State Medicaid will not be accepted. Please spread the word – I am desperate.